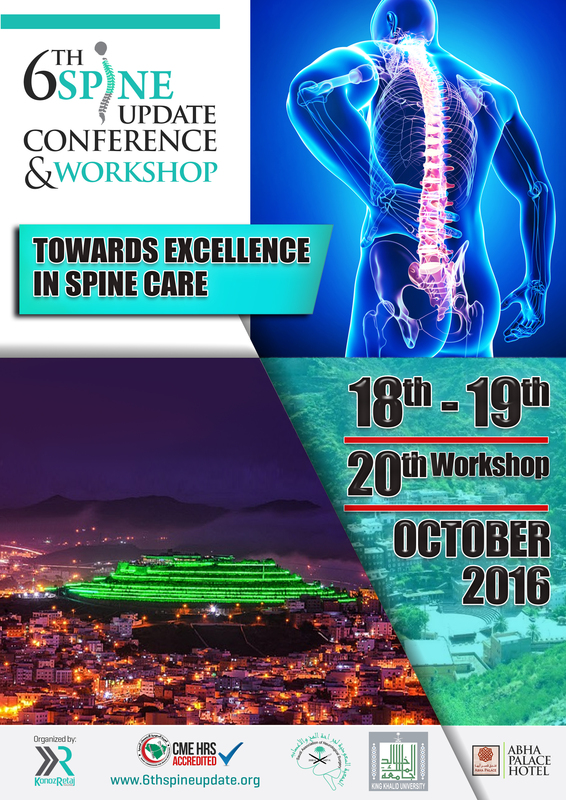 It gives me a great pleasure and honor to welcome you all at the 6th spine update conference and workshop. Our conference is special and unique this year. The event is held in Abha, the best ever and most beautiful city in Saudi Arabia. On top of its deep roots in history, back to more than thousands of years, Abha is unique in its location; being 3000 meters above sea level. Allah has blessed Abha with natural beauty and magnificent weather. We chose Abha Palace hotel to be the venue of our event, for its superb location, hospitality and facility. our conference this year, is the first of its kind to have such gathering of multi disciplines involved in caring for spine patients, from spine surgeons with neurosurgical and orthopedic backgrounds, pain management specialists, spine imaging and interventional radiologists, and rehabilitation specialists. Our scientific committee worked really hard to come up with wide spectrum program that covers most of the topics in spine care. Our conference concur with the announcement of our nation’s 2030 vision, where the health of everyone resides on its land, is considered as a major focus and concern. We have worked to get that vision reflected on our theme for this year “towards excellence in spine care”, and sure that our event will contribute to serve such ambitious vision. 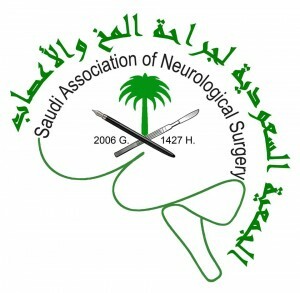 At last, our gratitude thanks to Saudi Association of Neurological Surgeons SANS and Saudi Spine Society SSS for their major support and patronage. 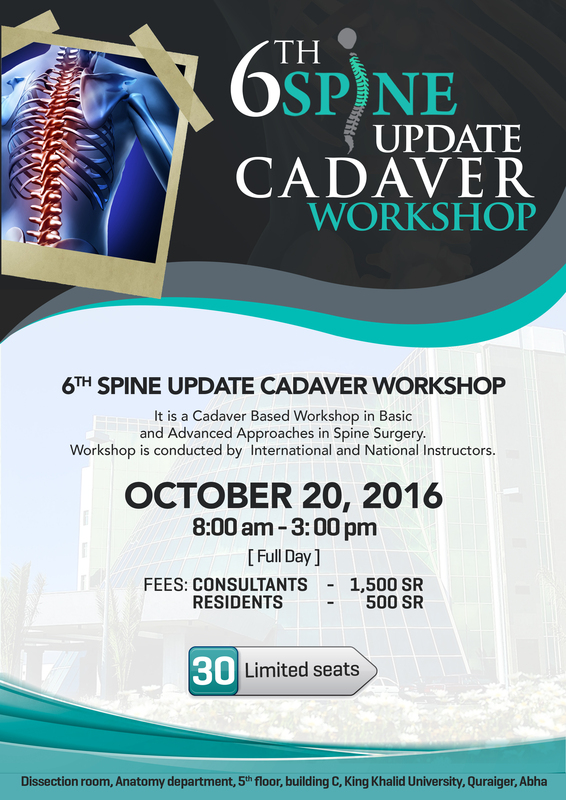 We blended all the above and introduced it to you, as 6th spine update conference and workshop, and surely, you will enjoy your stay in the beautiful Abha. Green flyers design template vector.Brochure annual report poster magazine. Leaflet cover presentation with abstract bokeh blur background. Layout in A4 size with spine book design. illustration.